Ongoing servicing agreements, and 24/7 remote monitoring available for your fire alarm system. Specialised fire safety and fire warden training for your staff, with practical hands on experience of using a fire extinguisher. It’s a legal requirement to record your fire alarm testing, and extinguisher and alarm maintenance. Abbot Fire Group offer a free site survey for your installation and maintenance contract. 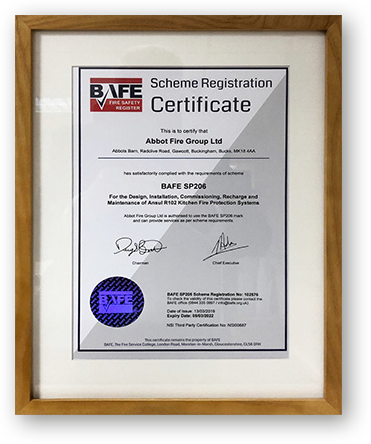 Whatever aspect of commercial fire protection services you may be looking for Abbot Fire Group can help. With a wide range of fire safety services available, you can also have access to a bespoke asset management tool. Abbot Fire Group helping you ensure fire safety in the workplace. Helping ensure fire safety in the workplace, fire safety training is a legal requirement. Ensure your staff know what to do in the event of a fire. With specialised fire warden training available too. Fire safety training can be conducted at your premises, or at Abbot Fire Group’s offices. Abbot Fire Group, helping you assess, prevent, and protect your staff and premises from the risk of fire. For further details call 01280 824111 or email.